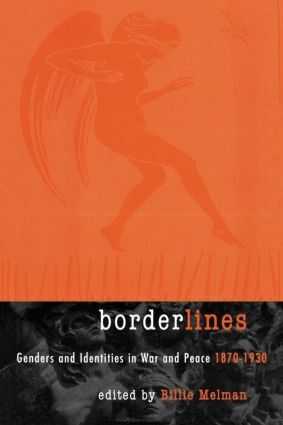 Borderlines weaves together the study of gender with that of the evolution of nationalism and colonialism. Its broad, comparative perspective will rechart the war experiences and identities of women and men during this period of transformation from peace to war, and again to peace. Drawing on a wide range of materials, from government policy and propaganda to subversive trench journalism and performance, from fiction, drama and film to the record of activists in various movements and in various countries, Borderlines weaves together the study of gender with that of the evolution of nationalism and colonialism. Its broad, comparative perspective will rechart the war experiences and identities of women and men during this period of transformation from peace to war, and again to peace. Billie Melman is Associate Professor of History at Tel-Aviv University and the author of Women's Orient's and Women and the Popular Imagination in the Twenties.